Rather, the "singing" of cicadas is a sound created by male cicadas to attract the ladies. This mating call is produced when the males flex their tymbals ... which, for the record, is not code for anything dirty, naughty readers. According to Cicada Mania, tymbals are drum-like organs located on male cicadas' abdomens that are pulled in and out of shape by the bug's abdomen muscles. The subsequent deafening strum typically begins around 10 a.m. and stretches into the late afternoon or early evening. Considering emerging cicadas can number in excess of 40,000 per tree and 1.5 million per acre, it's safe to say these little guys create quite a racket. So I'm sure you're wondering how often you'll have to suffer through this prelude to bugs, uh, buggering. And this is where things get a bit tricky. You see, there are over 190 varieties of cicada in North America. Impressive, right? Among these cicadas, life cycles can be broken down into three main categories: Annual (emerging every year), periodical (emerging all together after a certain number of years), and protoperiodical (basically a combo of the first two cycles). The important thing to note is that, although broods typically emerge every year, cicadas don't emerge every year in every state. In some states, they don't emerge at all, in fact — according to National Geographic, periodical cicadas are found only in the parts of the United States east of the Great Plains. Some years broods don't emerge at all, and thus are aptly dubbed "empty-class years." But the type that is most well-known in North America, and which we'll be focusing on here, is the Magicicada periodical cicada. Also known as the 17-year locusts, these insects boasts life cycles of either 13 or — you guessed it — 17 years. If you happened to have been in Arkansas, Illinois, Indiana, Kentucky, Louisiana, Missouri, Mississippi, or Tennessee in 2015, you may remember this phenomenon, as that's when and where Brood XXIII 13-year-life-cycle cicadas last emerged. 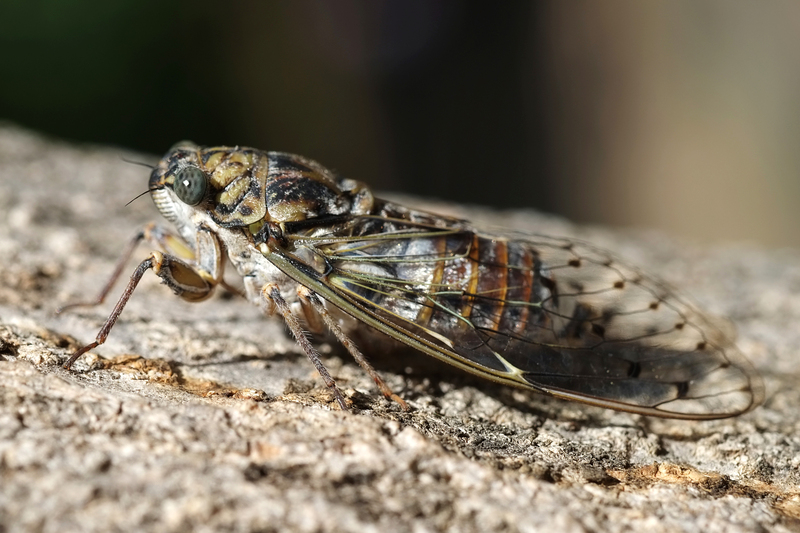 Likewise if you were in Iowa, Kansas, Missouri, Nebraska, Oklahoma, or Texas in 2015, that's when Brood IV 17-year-life-cycle cicadas emerged. Don't toss out all your earbuds just yet, though. If you weren't privy to the cicadas' love song then, you will be soon enough. Next year, Brood VI's 17-year-life-cycle cicadas will rise like phoenixes from the soil in Georgia, North Carolina, and South Carolina — that's me! And if you aren't in any of those states, you still might not dodge the proverbial bug bullet. In 2016, residents of Maryland, New York (excluding NYC), Ohio, Pennsylvania, Virginia, and West Virginia will be treated to this symphonic mating call come late April or early May, when Brood V emerges for the first time in 17 years by the billions. These little guys are quite literally about to party like it's 1999.